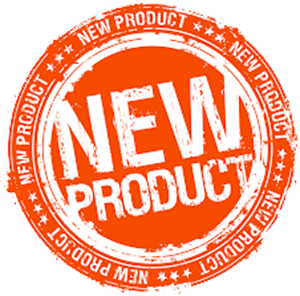 Here is where we feature our newer items as they arrive. 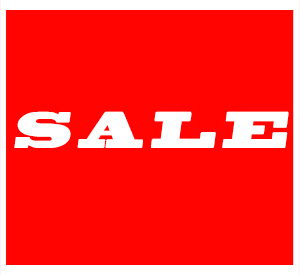 Find our latest sale items here. Call for wholesale price. 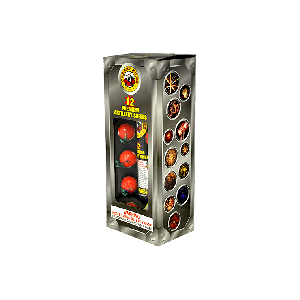 Multi Shot Items have any where from 6 to 200 or more shots that light from a single fuse. Multiple shots of whistling comets, reports, & floral breaks. 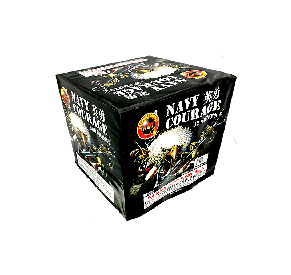 Mid-Sized multi shots with all the punch of a large 500gram but at a lower cost. 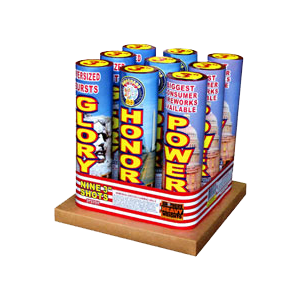 These are the largest and loudest items that you can buy. 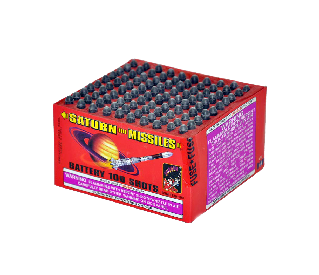 Artillery Shells are primarily a ball made of cardboard and paper that is filled with pyrotechnic composition. On the bottom of the ball there is a small amount of composition know as the lift charge. 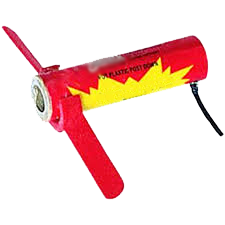 All reloadable shells come with their own launch tubes.When placed into the mortar tube and ignited the lift charge propels the shell into the air. 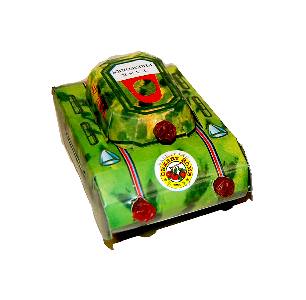 When the shell reaches it’s apex it will break, creating a large arial display. 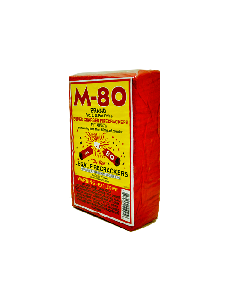 Firecrackers are 1.5"x.25" that produce a loud audible report. 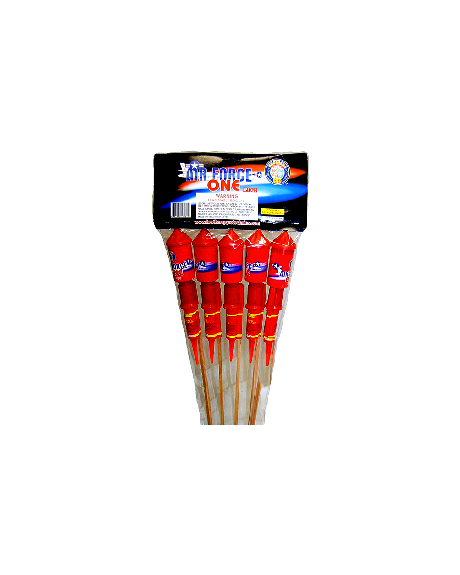 A Roman Candle is a traditional type of firework that ejects 5-10 stars, comets, or other effect shells. 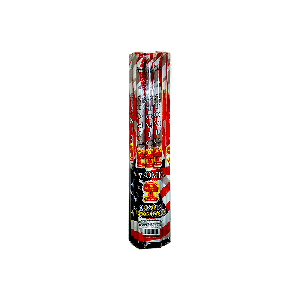 Roman candles originated in China, but first became popular during the Italian Renaissance. 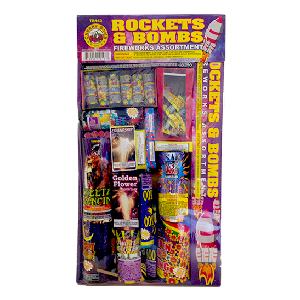 Assortments come in trays,bags, or boxes and contain a variety of fireworks. 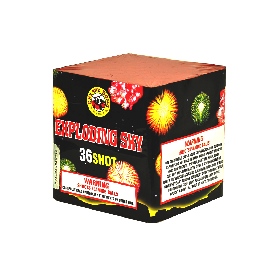 Usually a one shot item that produces a large floral break and loud report. 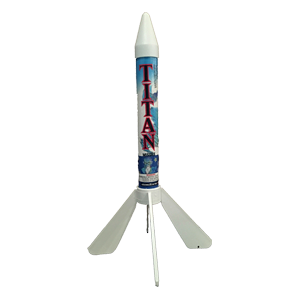 A missile is a sky rocket that uses fins for stability & guidance. 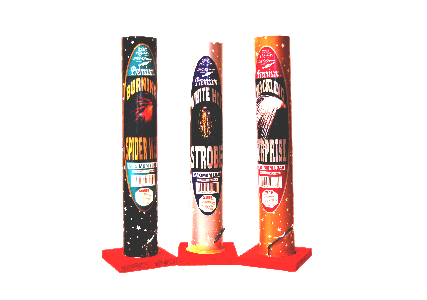 Rockets come in many sizes and effects, they all have a stick attached for stability and guidance. Wing items are helicopter style items. 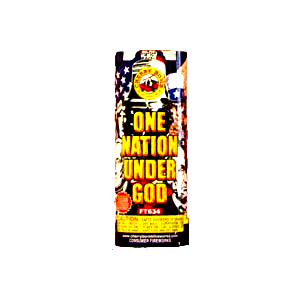 Novelty Items are "toy" fireworks, often Safe&Sane Items. Parachutes come in many forms, the most common is a cylinder form. 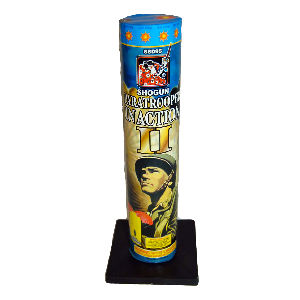 These fast and furious fireworks spin around randomly on the ground – all while shooting out colorful sparks and flames. 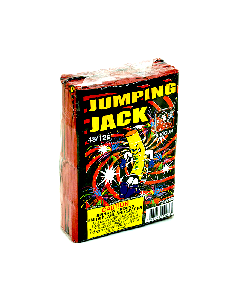 Chasers & Jumping Jacks are ground items that perform on the ground. 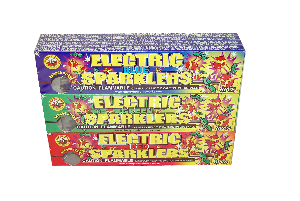 Sparklers are a wire or bamboo rod that emit showers of colored sparks. 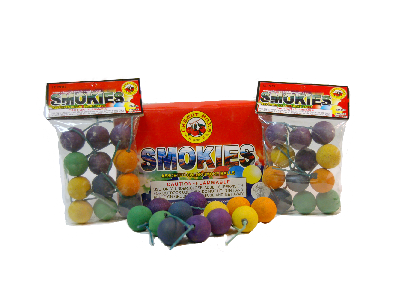 Smoke Items come in many forms, most popular is the smoke ball. 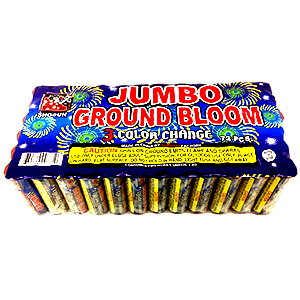 Usually in the shape of a cone or tube that stands on the ground upright; when lit emits thousands of sparks of various colors which sometimes reports and can last from thirty seconds to three minutes or longer.